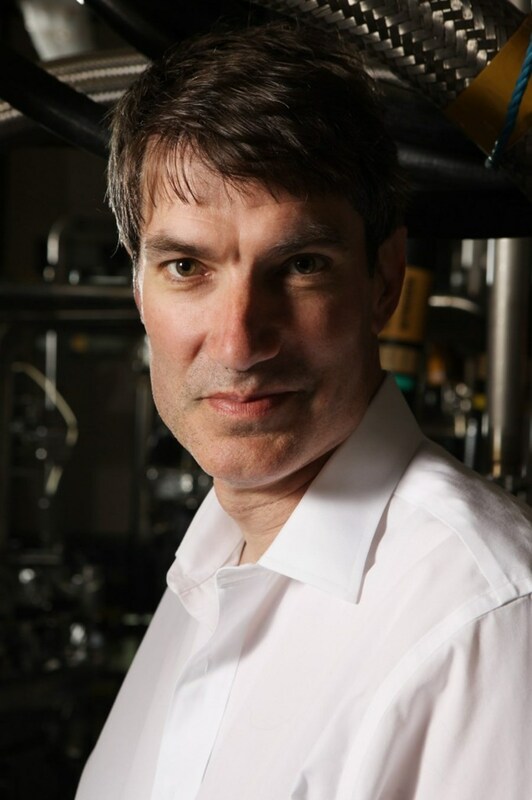 ''I think everybody realizes that it would be desirable to have fusion as fast as possible,'' says Steven Cowley, CEO of the UKAEA and head of the Culham Centre for Fusion Energy (CCFE). In June this year Steven Cowley, the CEO of the United Kingdom Atomic Energy Authority and head of the Culham Centre for Fusion Energy (CCFE), was appointed by Prime Minister David Cameron as a member of the Council for Science and Technology (see Newsline issue 183). In today's interview with the ITER Newsline, he talks about his new role and the importance of making fusion commercially viable. Newsline: Steven, can you describe your role as a member of the Council for Science and Technology? Cowley: The Council for Science and Technology advises the government on strategic issues and how the United Kingdom should position itself. It is made up largely of scientists and engineers, technologists from industry and academia in the UK. What is of great concern in the UK government currently is how to stimulate innovation. How do we produce the next generation of companies that will produce the innovations in our economy? How do we shape the future prosperity of the UK? My other role in life—running fusion in the UK—is very closely related to these two questions. Fusion is not about pure science ... it is about producing an energy source for the future, an energy source that will bring prosperity with it. Do you think you were appointed because of your leading role in the national fusion program? It's difficult to speculate why they asked me. I think the UK government realizes that fusion is now a very important part of the research portfolio. Fusion fits right into its vision that the future has to be supported by high technology, and that the ultimate high technology is energy. I think that I am in this role because the government wants sound advice on fusion, on nuclear, on energy...and I have expertise in these areas. Currently, there are many activities going on worldwide to address the question of how to accelerate fusion research. Is this a question that is being discussed in the UK as well? I am actually about to head out to Princeton (US) where there is currently an international fusion road-mapping workshop going on ... and, yes, this issue is being discussed at government level here in the UK as well. I think everybody realizes that it would be desirable to have fusion as fast as possible. However, as we are proceeding forward towards fusion, we want to make sure that we don't go down any blind alleys. We want to go as fast as possible, but without stumbling. It would be a shame if fusion stumbled on the way rather than going straight for the goal. That is why ITER is so important. I think once the burning shots on ITER have been accomplished ... once ITER produces a gain of ten and a stable long-pulse shot ... we will know that fusion is absolutely possible. We will have done it. But what we don't know is how long it will take us to make fusion viable commercially. One of the questions everybody is asking right now is to how to shorten the time after ITER to a demonstration reactor (DEMO). How quickly, after ITER is successful, can we push forward to an actual electricity-producing fusion power plant? The discussions at Princeton are part of a wider discussion on how fast the fusion community can do that. I think that the more desperate people get for energy, the more pressure we will receive. The UK is very committed to have fusion as part of the energy portfolio in the second half of this century. For that, DEMO has to be operational in the 2040s. People think this is a long time, but it is not such a long time for development, as fusion is such a sophisticated technology. The UK believes that part of the future UK generating base will be fusion, and that this proportion will increase. By 2100, we are perhaps talking about a substantial portion of the electricity generating base in the UK ... and, I am sure, throughout Europe. The Chinese government is dedicated to building a DEMO reactor and is now investing into the education and training of 2,000 fusion scientists and engineers. Does such news influence the debate in the UK? I think that news like that does indeed influence the debate. On the other hand, 2011 is an exceptional year with the world's major economies up against the wall. In many respects, looking over at China is less on the mind of politicians than the dangers of cutting research budgets in the UK. The government has maintained strong support for ITER; while many projects have had their budgets reduced, the fusion research budget was maintained. There is some research that is beautiful, that is lovely, it tells us beautiful things about the world. But it doesn't matter very much whether we know it now or in 20 years from now. It is not vital to our future economy and our future survival. That is not true about fusion, it is vital.